You can register online for the Sept. 22 event or on Saturday at 7:30 a.m. Cost is $35 per person or $300 per team. 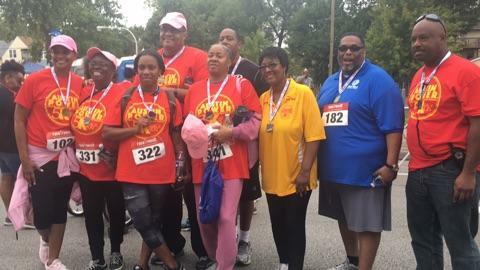 The run/walk begins at 8:30 a.m. at Chicago and Mayfield avenues. Austin P.O.W.E.R of Life is sponsoring the annual event. Come out – rain or shine – 8:30 Aug. 12 at LaFollette Park, 1333 N. Laramie Ave. For more information, call Sankofa Cultural Arts Center at (773) 626-4497 or Helping Our People Excel at (773) 921-2243. 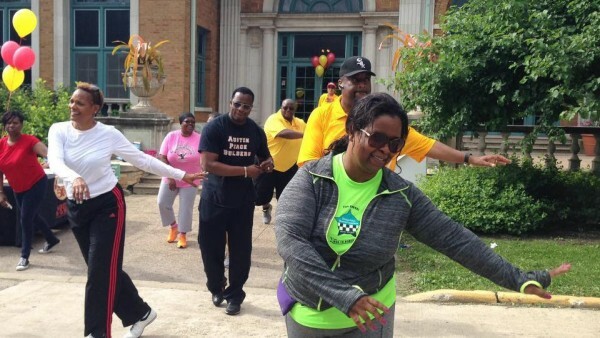 More than 200 people participated in last weekend’s Austin P.O.W.E.R. event, which celebrated the West Side and all it has to offer. Austin P.O.W.E.R. of Life is sponsoring the annual race, which starts at Chicago and Mayfield avenues Sept. 24. There was a big turnout last weekend for the pre-Austin POWER 5k walk/run at the Columbus Park Refectory; it was the kickoff for the September event. 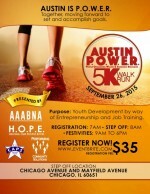 Austin P.O.W.E.R (People Organizing Wealth & Economic Resources) of Life is hosting the 5k. Rain or shine, the race will start at 8 a.m.
A coalition of organizations are hosting the inaugural event, which is raising money for job training opportunities and entrepreneurship experiences for young people. The group will meet at 8 a.m. by the Columbus Park Refectory. 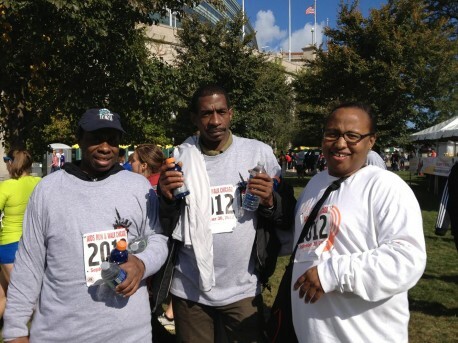 Some participants will be training for the Chicago Marathon as part of the Team World Vision and Austin/Chicago team.